1. Wheel Diameter 300 - 1,200mm 2. Air volume 60 - 7,000 /min 3. Out velocity 8-25m/s 4. Pressure 20 - 180 mmAq 5. Characteristic - Light weight using plastic of high strength glass fiber material 6. Easy handling - The variable-wing structure allows great wind control with high efficiency and volume adjustment over a wide range of wings. - Ventilation through ducts of the tunnel building, factory and so forth. - Cooling and drying of an apparatus. Short on time? Let exhaust-fan sellers contact you. 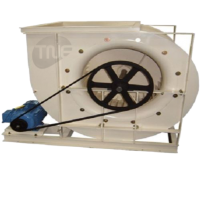 Our fan is Weight balance type exhaust fan (drop hammer type exhaust fan) 1, Mirror designed Stainless steel balde,with big air volume,never distortion and broken, the angle of the blades is patented designed 2, Galvanized steel sheet ,the layer of galvanizations more than 180 g/©O,one-off moled frame. 3, experiment of homeostasis make the blade work smoothly,nearly no noise and steadily output of air 4, Belt pulley are aluminium magnesium alloy injection moulded ,light and high-strength 5, Adopt auto belt-tensioner which can adjust the loose or tighten of belt and never drop 6, Imported france bearing with long service life Model specifications	blade mm	Blades rotational speed rpm	Motor rotational speed rpm	Air flow m3/h	Total pressure	Noise decibels	Import power	Rated voltage	High mm	Width mm	Thick mm AM-780	710	960	960	23000	75	¡Ü70	550	380	780	780	420 AM-830	720	660	1400	22000	60	¡Ü60	550	380	830	830	400 AM-900	750	630	1400	28000	65	¡Ü65	370	380	900	900	400 AM-1000	900	610	1400	30000	70	¡Ü70	750	380	1000	1000	400 AM-1100	1000	600	1400	32500	70	¡Ü70	750	380	1100	1100	400 AM-1220	1100	460	1400	38000	73	¡Ü70	750	380	1220	1200	400 AM-1380	1250	439	1400	44000	56	¡Ü70	1100	380	1380	1380	400 AM-1530	1400	325	1400	55800	60	¡Ü70	1500	380	1530	1530	400. 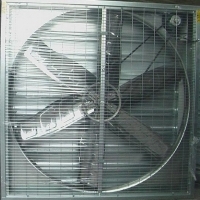 The size of the fan: 1380mmx1380x400mm Packing : standard exporting paper carton Weight : 76KG. 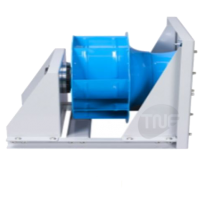 Xiamen Higher Ventilation Equipment Co., Ltd.
Galvanized fan features: Frame: galvanized steel, advanced processing technology, high accuracy, attractive appearance and corrosion resistance. Motor: special design and manufacture of aluminum housing motor, light weight, little vibration, low noise, also has a waterproof, dustproof, corrosion resistant, energy saving, high performance, high efficiency and long life; can operate in adverse circumstances, while ensure maximum efficiency. 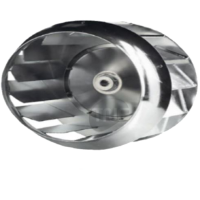 Fan blade: six stainless steel twisted stamping molding, no distortion, no breaking, beautiful apperance and durable; the reasonable design for blade angle, has the maximum air flow and low noise; high strength and toughness. Shutter: automatically open and close, windproof, dustproof, rainproof and nice design. Belt: the import v-belt, has high strength, toughness and long service life. Model	Prop.Dia (mm)	Motor/porp rpm	Cmh Motor kw	Volt. Freq. (hz)	Sound(dba)	Weight(kg)	Dimensions(mm)	Container capacity 20 / 40gp / 40hq Hg1380	1250	1450/450	44500	1.1kw	380/220v	50	72	80	1380*1380*400	24 / 49 / 65 Hg1220	1110	1450/480	37000	0.75kw	380/220v	50	65	60	1220*1220*400	29 / 64 / 92 Hg1060	950	1450/500	32000	0.55kw	380/220v	50	60	55	1060*1060*400	40 / 82 / 114 Hg900	790	1450/520	28000	0.37kw	380/220v	50	55	50	900*900*400	60 / 124 / 172 Hg740	580	1400	8000	0.50kw	380/220v	50	65	30	740*740*300	106 / 225 / 321. 1380x1380x400mm, 80kg/piece. Zhongshan Airzone Ventilated Equipment Technology Co., Ltd. 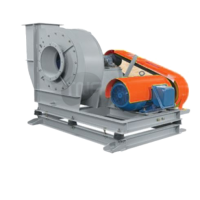 Exhaust fan commodity description: Air capacity: 43170 m3/h Size: 1380f-1380f-450mm Noise: f_64dB Power: 1.1kw Voltage: 380V Electric current: 2.8A Weight: 88kg Material: Frame: galvanized steel sheet, the layer of the galvanization is 180g/¼O·+and the frame is one-off molded, also there is a outlet in the bottom. Fan Blades: 6 pieces of mirror face stainless steel blades with the diameter of 1270mm and the angle of the blades is patented designed. 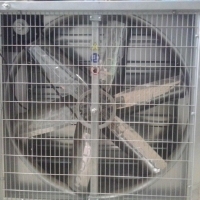 The fan translations have all passed the experiment of homeostasis, which makes the air volume keep the same as the very beginning during the operational life span of the fans. 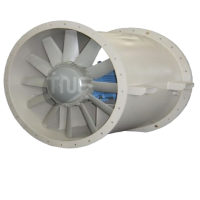 Exhaust fan Single phase and three phase Frame size 8" to 24"
Qingzhou Aonuodi Tempreture Equipment Co., Ltd.
1.Type: axial fan. 2.Stainless steel blade 3.Ce certification . 4.Good after service and at least one year warranty. Weihe Yingfeng Electrical Appl. Co., Ltd.
Electrical Products Company (I) Pvt. Ltd.